This year, our two year old daughter dressed up as an ole granny! Walker: We made the walker out of PVC pipe, from our local DIY Center, and spray painted it silver. 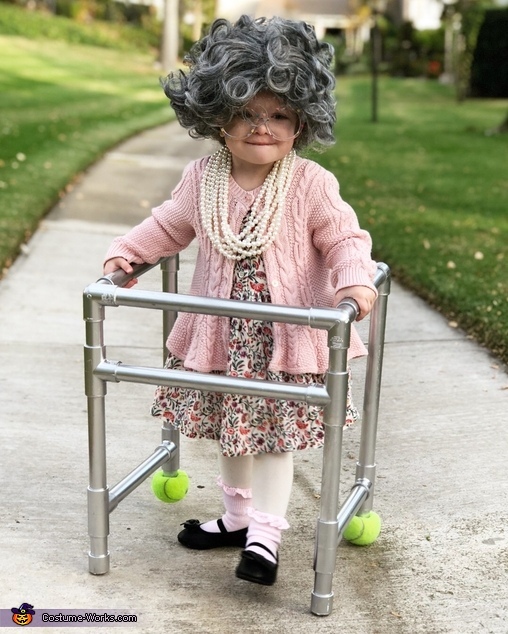 The total cost for the walker was only about $10 and it was a serious crowd favorite! Does the Walker come with the costume?